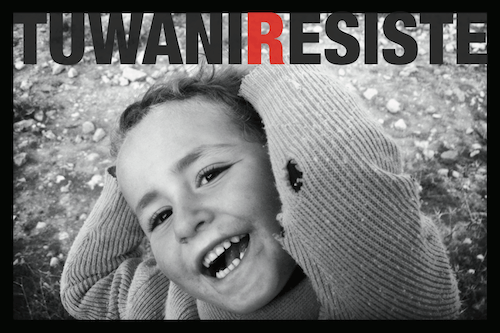 Since March 2011, the war in Syria has caused a human tragedy of immense proportions. While a political solution has not been found, human rights violations, abuses, killings and armed clashes go on in Syria in a context of widespread insecurity and absence of any guarantee for the protection of human rights. The figures are uncertain because of difficulties in collecting and monitoring data, but on the fifth year of the war there are more than 270,000 people dead and more than a million wounded  . More than half of the entire Syrian population has been forced to leave their homes, even more than once: Syria is the place of greatest crisis of global displacement  . The Syrians have become the largest population of refugees under the mandate of the High Commissioner for Refugees of the United Nations (UNHCR). IDPs Syria are more than 7.6 million  and UNHCR are refugees registered 3.9  , of which about 95% is accepted in five countries: 1.7 million in Turkey, 628,000 in Jordan, 248,000 in Iraq, 133,000 in Egypt, and finally to 1.2 million in Lebanon, a country of about 4.5 million inhabitants, to which many other present without registration are added  and half a million Palestinian refugees. Host countries in the region are having increasing difficulties in dealing with the situation, while humanitarian aid from the international community are getting increasingly scarce. The funds planned by UNHCR in 2015 to respond to the regional crisis, due to the reception of Syrian refugees, were only covered for 10%  . Since the beginnig of the conflict, Lebanon has maintained open borders and welcomed the fleeing Syrians, but five years later, without the prospect of an end of the war, the country is reaching a critical point and a high level of social and political tension. Because of overcrowding, the economy, health, social and basic services are collapsing, while unemployment increases with poverty both for accepted syrian refugees and Lebanese citizens. On the other hand the direct involvement of Lebanon in the Syrian war, with battles that often occur along the Lebanese borders, permanent insecurity and risk condition is generated. The civilians who attempted to escape from the war are likely to be involved in another war between the poor. In addition, Lebanon is not a signatory of the Geneva Convention on Refugees. The Lebanese government has rejected the creation of official refugee camps and the recognition of refugee status to Syrians. The absence of refugee camps run by international organizations and agencies aggravates the precariousness of the Syrian refugees in Lebanon. The living accommodation consists of garages, dilapidated or under construction houses, and, for the poorest informal refugee camps of tents or shacks erected by them on leased land. The unsustainability of the rental fee, the considerable increase in the consumption of water and electricity and the increase in tension between the local population and the Syrians in some areas, has brought a wave of evictions, and for instance in September 2014, almost 5,000 people have been evicted from their living arrangements  . Another critical aspect is the legal status of the Syrian refugees in Lebanon, who face many restrictions to get a regular visa: the Syrians are often forced to live in conditions of irregularity and exposed to arrests by the Lebanese security forces. Operazione Colomba, Nonviolent Peace Corps from the Pope John XXIII, has been present in Lebanon since September 2013, first with exploratory trips across the country, then, from April 2014, settled in the refugee camp and the village of Tel Abbas, 5 kilometers from the border with Syria. 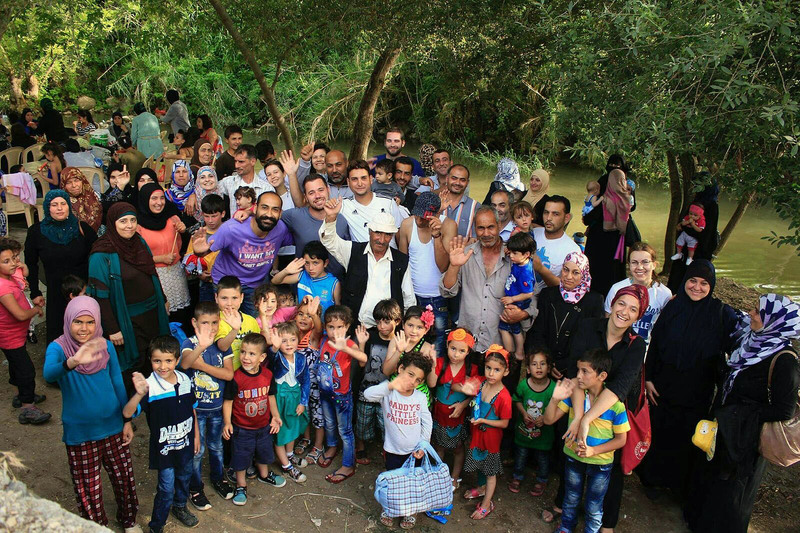 The refugees themselves ask us to live permanently with them, after receiving repeated threats and violence by some Lebanese. Our presence not only reduces the level of violence, but also becomes indirectly a source of security for the Lebanese who, frightened by the threat of jihadists presence in the territory, look at every Syrian like a potential terrorist. Living in the refugee camp we can “assure” that those people do not represent a danger. Life in a refugee camp is difficult. The Syrians are risking their lives every day because of precarious conditions. The tents are made of wood and cardboard shacks covered with nylon which tears down when there is strong wind and retains heat in the summer, where the electric cables are often not safe and under the water when it rains. Simple activities such as cooking, heating up food, eating and sleeping become dangerous in these conditions. In the refugee camp where we are living, there are about 250 people, half of them children, living in 50 tents. The tents are about 25 square meters and less than a meter from one another. There is no intimacy and even no hygiene. The children often get sick because of the conditions and the spread of the disease is almost inevitable. To live at the camp refugees have to pay the rent of the land, although less expensive than a room or a garage. The people living in the camps are the most desperate and tired, those who cannot economically afford other alternatives. People with different vulnerabilities are forced to share a small space: widows, patients, disabled amputees because of the war, men who are physically or mentally unable to work, and many children. With our presence we promote knowledge between Syrian and Lebanese communities and we interact with NGOs who can support them with material aid. 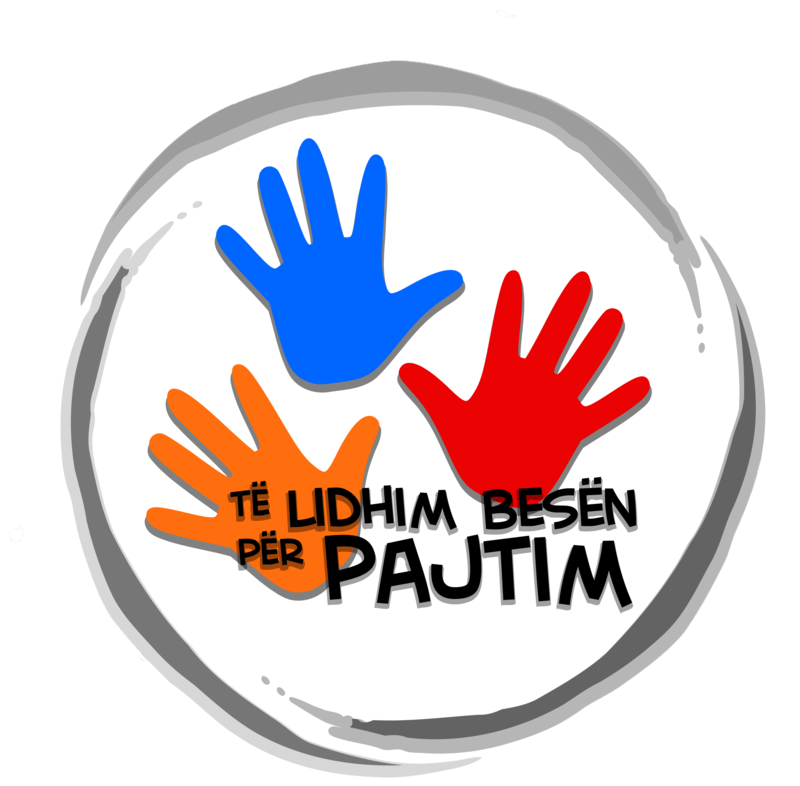 Living together with the refugees at all times encouraging them in all the daily challenges, so that they do not lose hope and dignity. 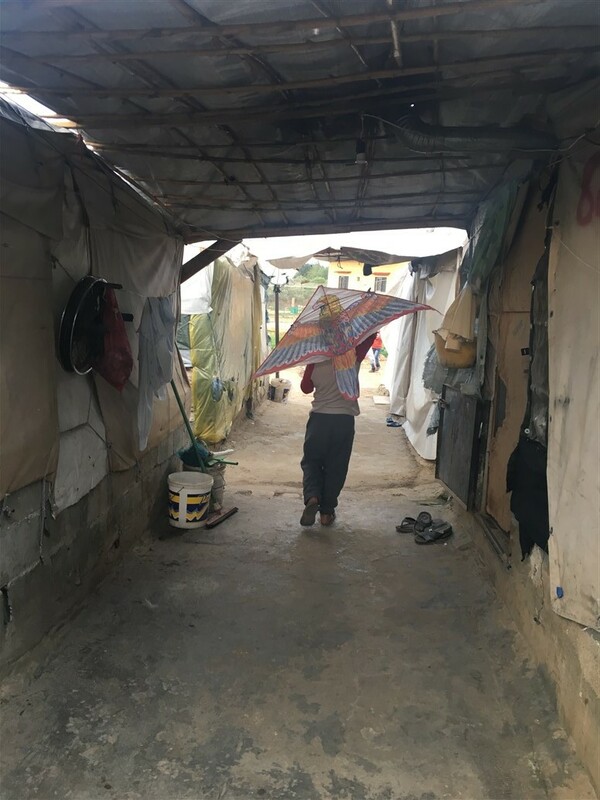 After three years of living together with Syrian refugees in camps in Lebanon, we collected some of their demands, representing those of many others who fled the Syrian war to avoid being forced to fight or to be killed. Together we have developed a proposal to give them the dignity and the opportunity to exist not only as refugees but also to express themselves on the future of their land. Their voice is fundamental to add a civilian component to the table of negotiations. One of the points of the peace proposal is the establishment of humanitarian zones, according to the example of the Peace Community of San José de Apartadó. This community, as other indigenous, peasant and Afro-Colombian experiences, resists in a nonviolent way to unjust and forced displacement, resists the terror generated by the violent actions of armed groups against the civilian population and the permanent temptation of revenge, not easy at all when the aggressions suffered remain still today in total impunity. The Peace Community of San José de Apartadó was recognized by the High Court, and has asked unarmed international protection, granted by International Peace Birigades, FOR and Operation Dove. The community, born in 1997, is composed of some hundred members and has bravely resisted until today despite numerous attacks and violence. It was a landmark for the inhabitants neighbors but especially a beacon of humanity and dignity in a context of fierce violence and exploitation. We bring this proposal to you because we wish, to our lives’ stakes, that these Syrian refugees, together with all the refugees and all the Syrians, can have justice, peace and dignity. UNOCHA (United Nations Office for the Coordination of Humanitarian Affairs), Updated overview: 2015 Syria response plan 2015-2016 and regional refugee and resilience plan.